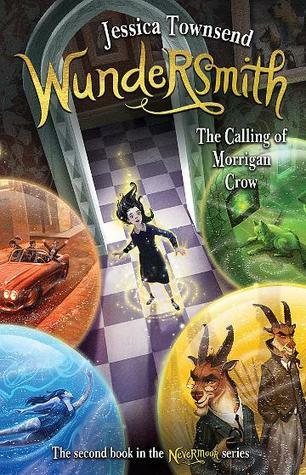 Callum Hunt and his Chaos-ridden wolf Havoc are about to head back to the Magisterium school for his second year. This time, Call is harbouring a terrible secret about himself, and throughout this book Call struggles to come to terms with his feelings about, well, pretty much everything. With proper fourteen-year-old angst, he falls out with his friends then drags them off on a road trip to find his dad. I really enjoyed reading The Iron Trial when it was released last year, but my enjoyment of The Copper Gauntlet was mostly down to the fact that I heard Cassie and Holly speak on several occasions over the Brisbane Writers Festival weekend. They spoke about how they wanted to write a story like the magic school stories they enjoyed while growing up, while turning some important aspects of those stories on their heads. They write together, passing a laptop back and forth, re-writing each others paragraphs. I have no idea how they get anything written – seeing them together it sounds like they have a whole lot of fun! In any case their voices blend amazingly well in Call’s telling of the story. I think what I enjoyed the most in the first book was the amazing-new-world feeling of starting at the new school, and never feeling safe in the magical society. There is hardly any school in this book, and that was a real shame – the world-building side was toned down and there was a lot more action. There are some very creepy moments towards the end of this one, rather dark – I’d probably recommend this one for teens rather than the younger middle-grade crowd, unless your middle-grader is okay with scary stuff! This part of the story is really sounding a lot like the Harry Potter series at this stage. To be fair, it’s mostly down to the Voldemort-y villain who the subordinate baddy is trying to resurrect. I really hope the story diverts away before too long. While I am perfectly okay with books that use themes I enjoyed from other stories, there are aspects of this series I wish were a little more different to HP at least. 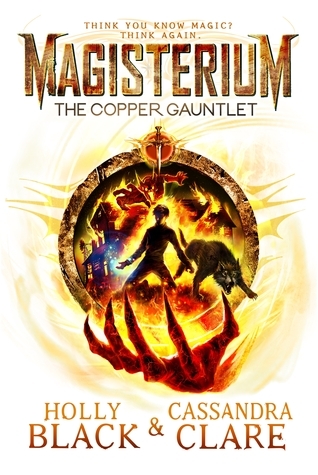 After all that complaining, I really did enjoy reading The Copper Gauntlet. Most of it is action packed, and Call is growing into himself as he faces more of what the bad guys can throw at him. I can’t wait to see where Call, Tamara and Aaron (and Jasper, I suppose) will be heading next! – If you enjoyed the Harry Potter series, give this one a go.